Holy mass is celebrated in the Roman Catholic Chapel at 0815 hrs and 1100 hours, and at 0930 hrs at PMQs on Sunday. Daily Mass is celebrated at 1715 hrs. Choir practice is on Thursday evenings at 1930 hrs. Confessions are heard before and after all Masses and any time by appointment. Facade in front of the Roman Catholic Chapel - June 1997. Facade of the Catholic church - October 1984. 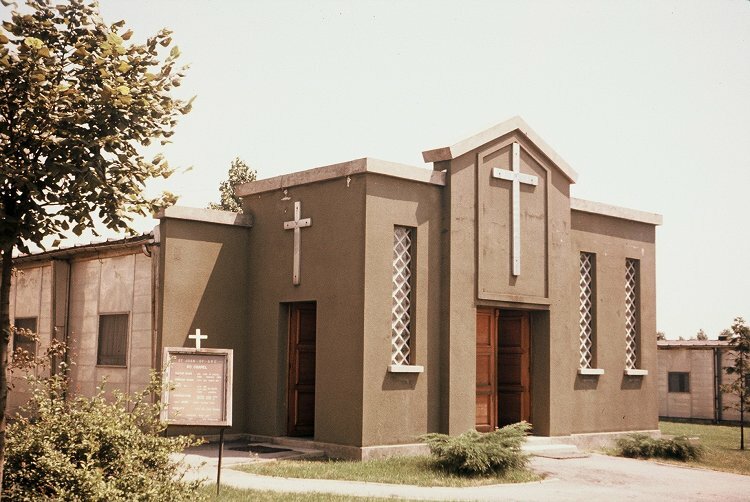 The building which served as the curch was donated to a local community in 1965. 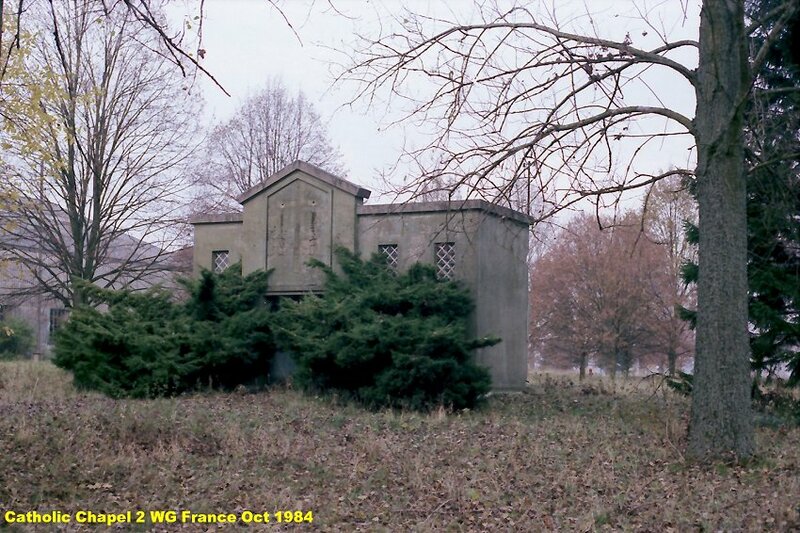 Extracts from 2 Wing Historical Reports pertaining to the RC Chapel. 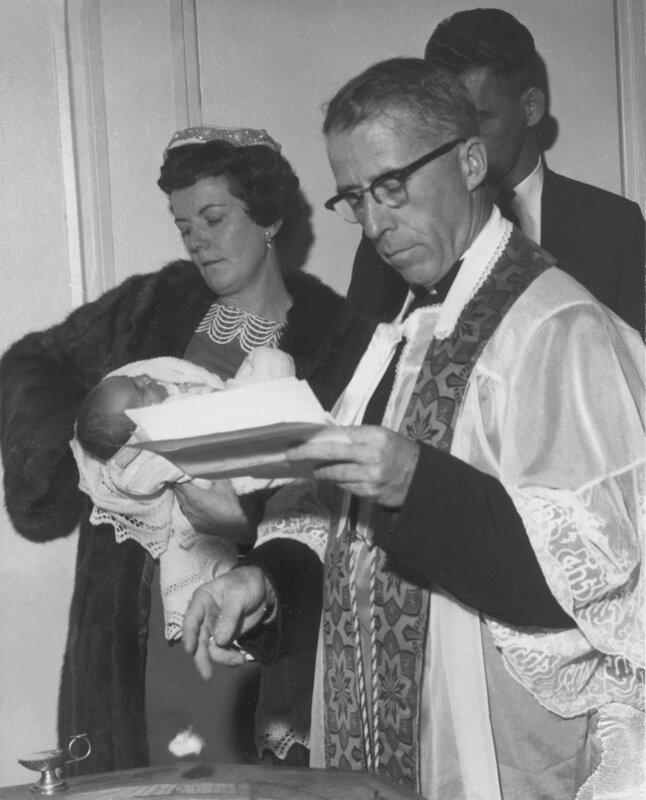 Baptism in the RC Chapel - March 1964. 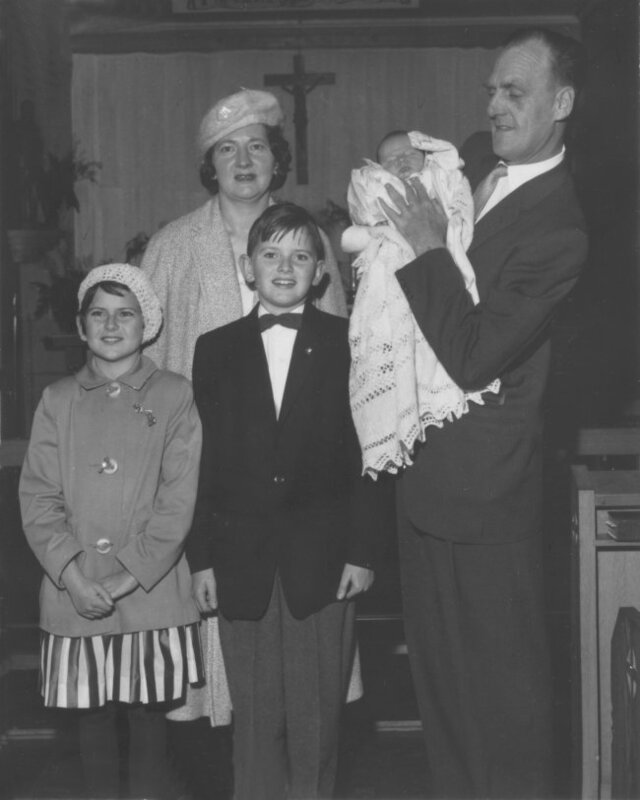 (L-R) Joe Arnold, Sarah Bryson, Ann Arnold and Father McGillvery. 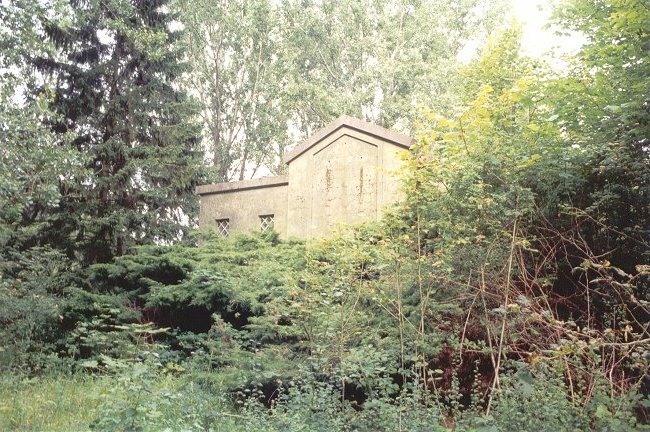 Side view of the RC Chapel on the station - June 1962. 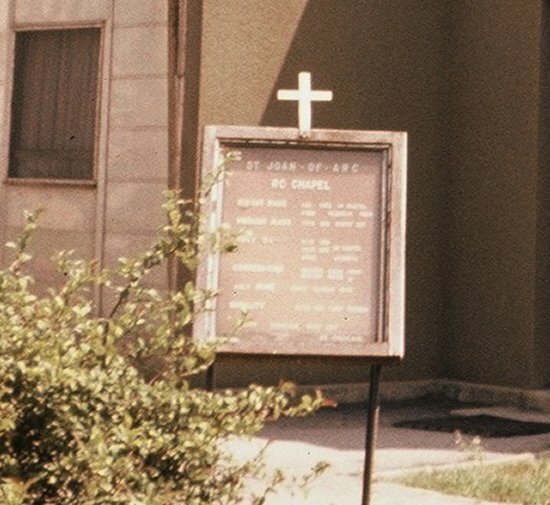 Larger image of the sign at the RC Chapel on the station - June 1962. 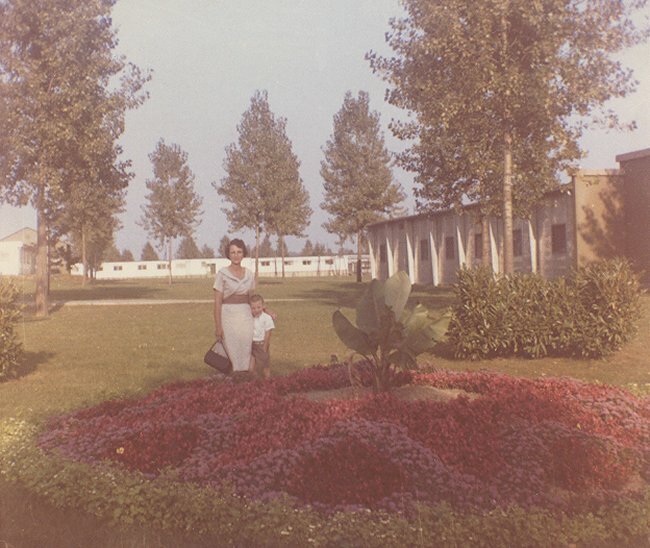 Mom and Michael by the RC Chapel on the station - September 1961. 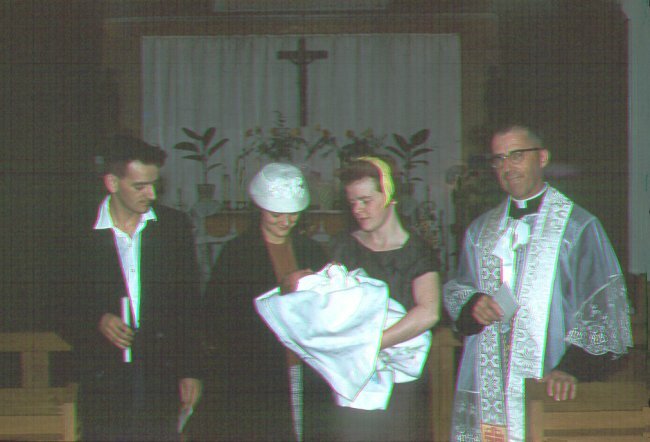 Inside the RC Chapel during the christening of my baby brother - 1961. 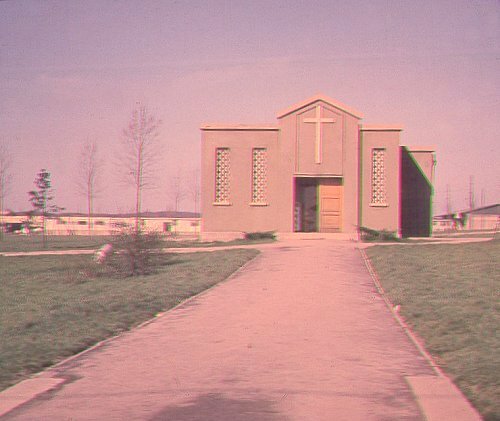 Outside of the RC Chapel after my brother was christened - 1961. Back row (L-R) - Mary & AE "Lucky" Grenzowski (holding my baby brother after the christening), Margaret and Victor Heyes. 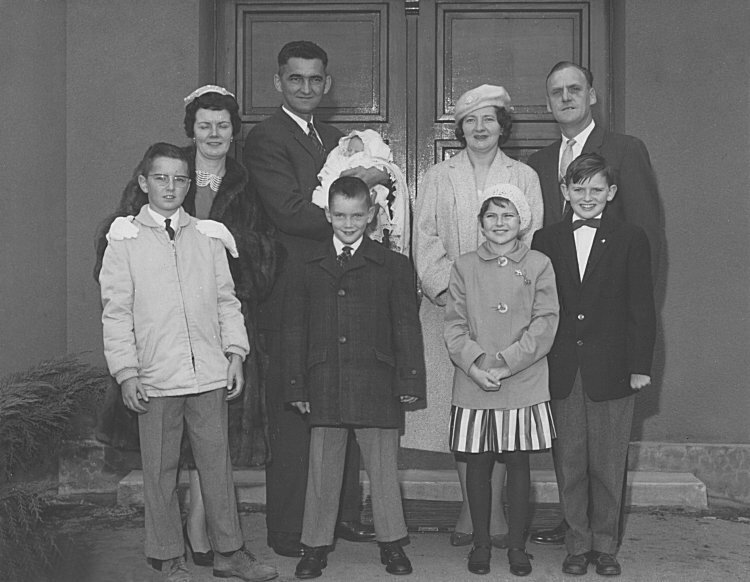 Front row (L-R) - Stewart and Bruce Grenzowski, Judy and John Heyes. 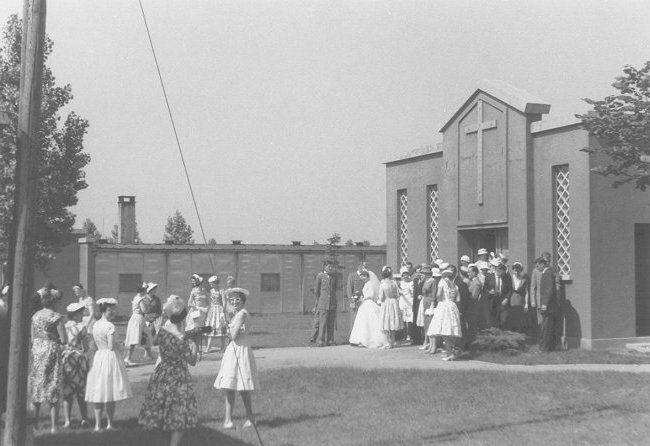 Another wedding at the RC Chapel - June 1960. This is the wedding of Lucie Bonami (a school teacher) and F/O Richard Murray of 421 Squadron. The service was conducted by Father Paradis, now living in North Bay. The Best Man, F/O JW Faulds and the stand in father of the bride S/L C Bourque can be identified in the photo as can several other of the guests. Both of these officers are now deceased. This detail was provided in December 2002 by Richard Murray. 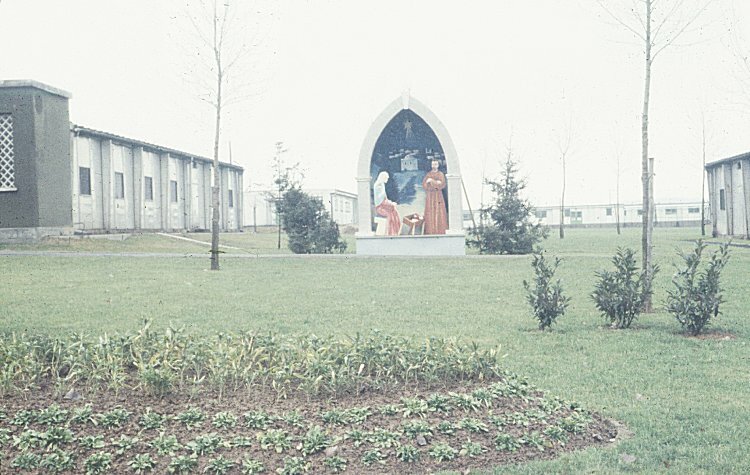 RC Chapel on the station - April 1959. 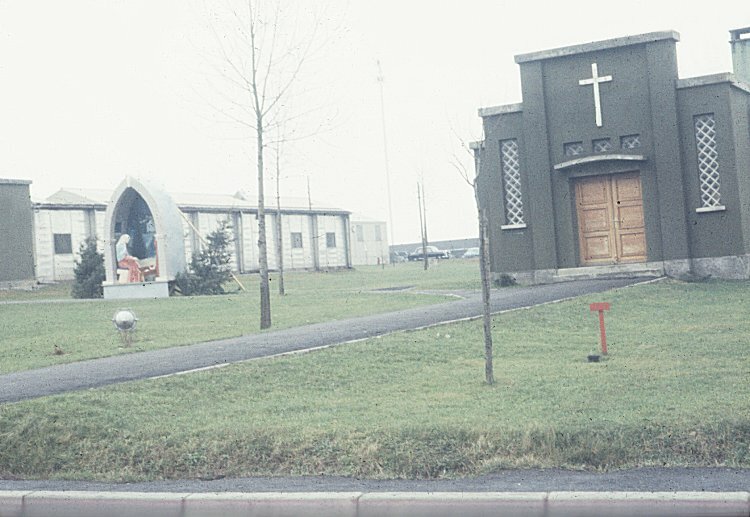 Christmas display between the chapels on the station - 3 January 1959. 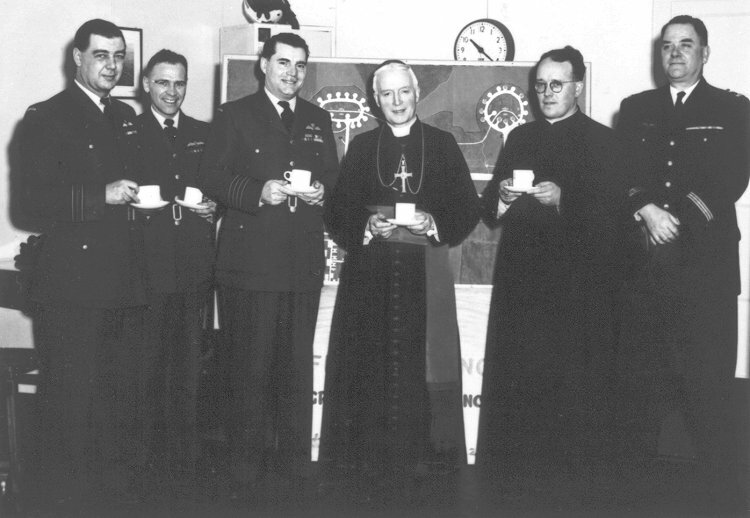 Visit of the Bishop of Troyes - February 1958. 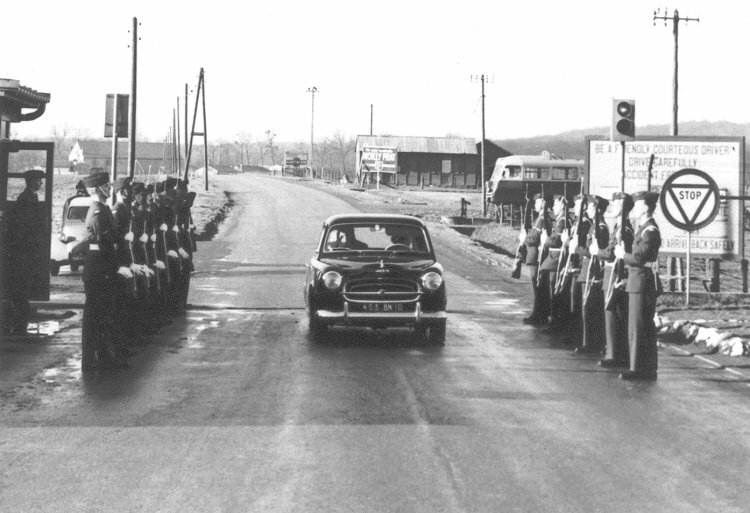 The Bishops car approaches the main gate - February 1958. 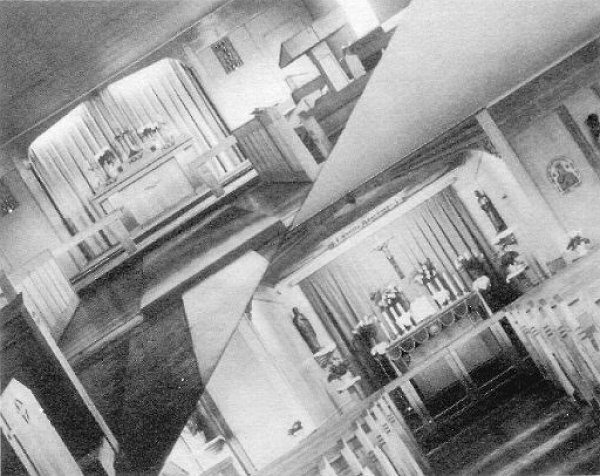 Interior views of RC and Protestant Chapels - June 1957. 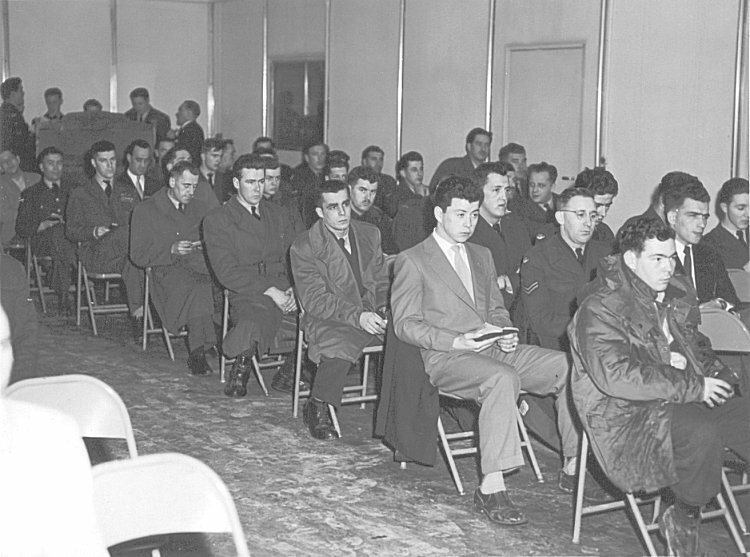 Alter boys by the RC Chapel - 12 February 1956. (L-R) Murray "Larry" McKinlay, Paul Freeman, Peter Bracher. 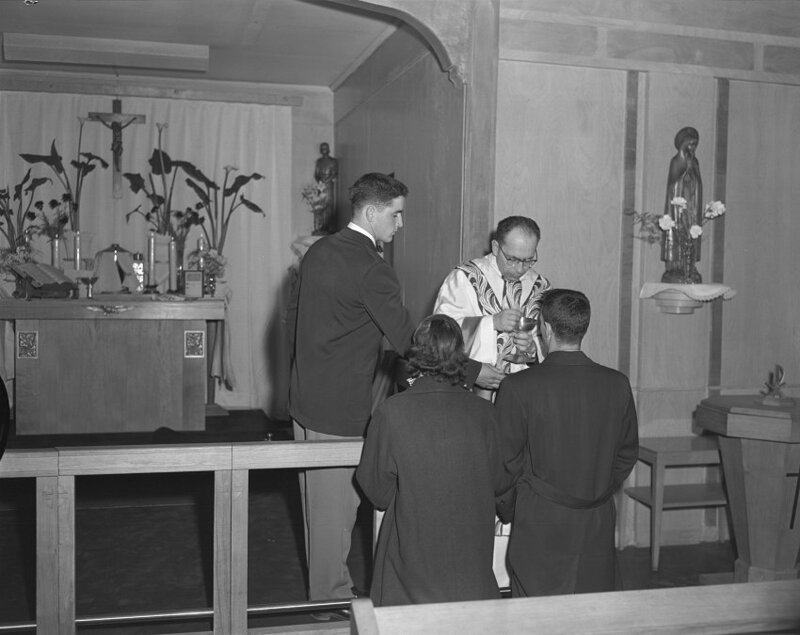 Receiving communion in the RC Chapel - 10 April 1955. Courtesy Canadian Forces Joint Imagery Centre PL-81999. First Communion and Confirmation in the RC Chapel on the station. Rear row, far right Jean-Guy Nadeau - April 1954. F/L Perusse, the second Chaplain, in his office - October 1953. 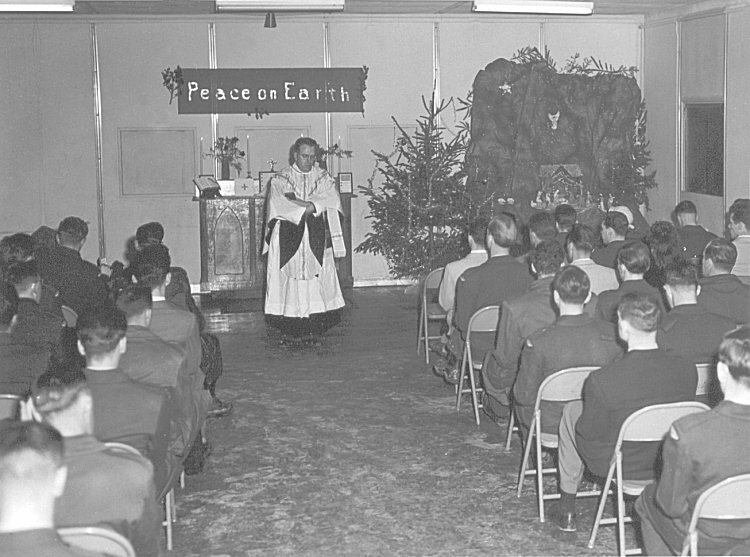 Father Gallagher conducting Mass on Christmas Eve - 24 December 1952. Note that this room served as our dining room - as can be seen by the shutters behind the make shift alter where the dirty dishes were returned. The NCOs were eating with the airmen while our Mess was being completed. 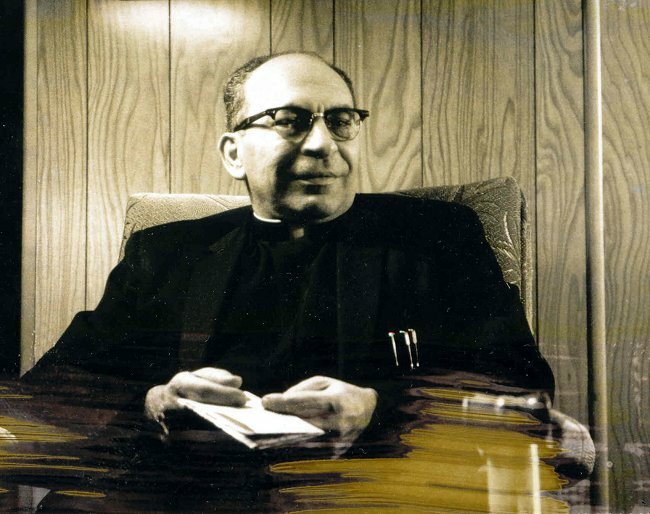 Father Gallagher later became a Bishop in civilian life. 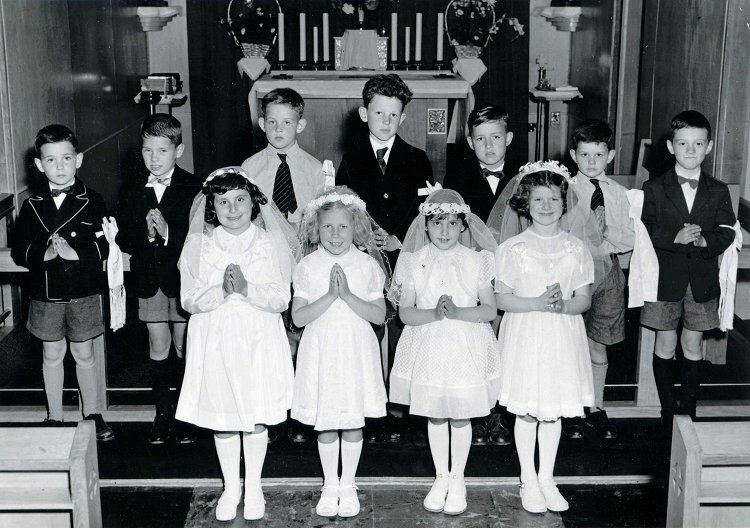 This photo was taken a few minutes before Mass - 24 December 1952. 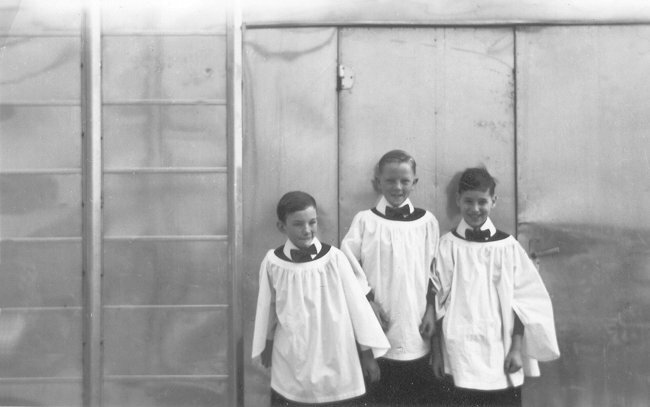 Note the organ at the left rear of the photo.